Have you ever wondered what its like to be on the ground when these guys drop their pay load? There was a F-4 Phantom pounding a hillside within 300 meters of our position one day while we were on a recon mission. 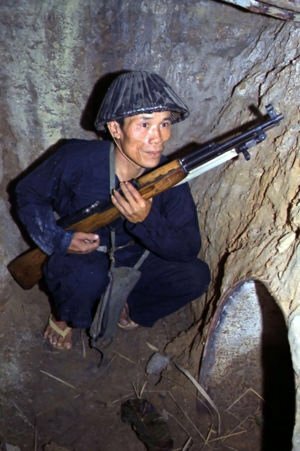 At that time, I still wore a steel pot on my head instead of a boonie hat, and I was glad I did. Even at that distance there was bamboo flying over our heads from the bomb blasts. ‘Charlie’ just dug a little deeper in his underground network of tunnels to escape this devastation from above. 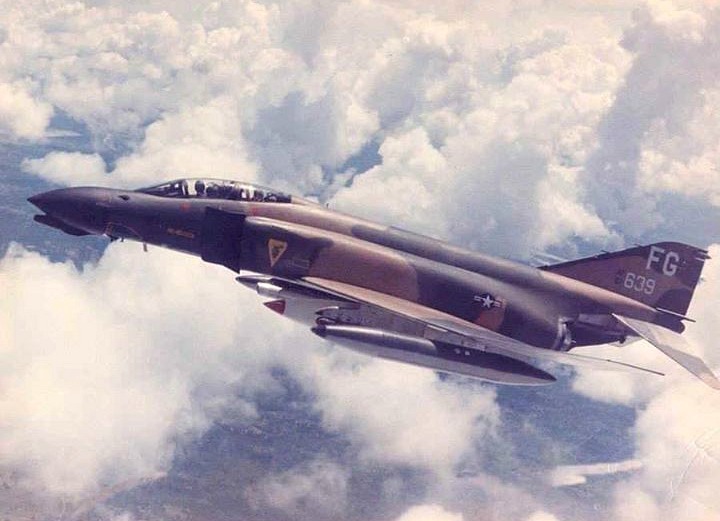 One day we were inserted into an area of the jungle where a F-4 was either shot down or had mechanical failure. This was the only downed bird mission I was on that involved a fixed wing aircraft instead of a helicopter. As our Lift bird made it’s approach in the suspected crash location, there were very few signs of any wreckage. All that was visible were some cleared out jungle and a crater caused by the impact and a few aircraft parts. I was flying Scouts that day and was asked to take a look at that location after the A/C went in. When I arrived all I could see was dirt and ash. I had never seen a high impact crash and found it hard to believe that nothing would give you a clue that an aircraft had crashed. As our chopper made it’s approach, I asked Lt. La Chance (Blue) just where the F-4 went down, and he said “you’re looking at it”.